Designed to hide the glare of a lamp, the alternating panels create a subtle lighting effect. Drop is part of a series of paneled lights where form, line, and motion come together to create a skin that shields the eye from the lamp. 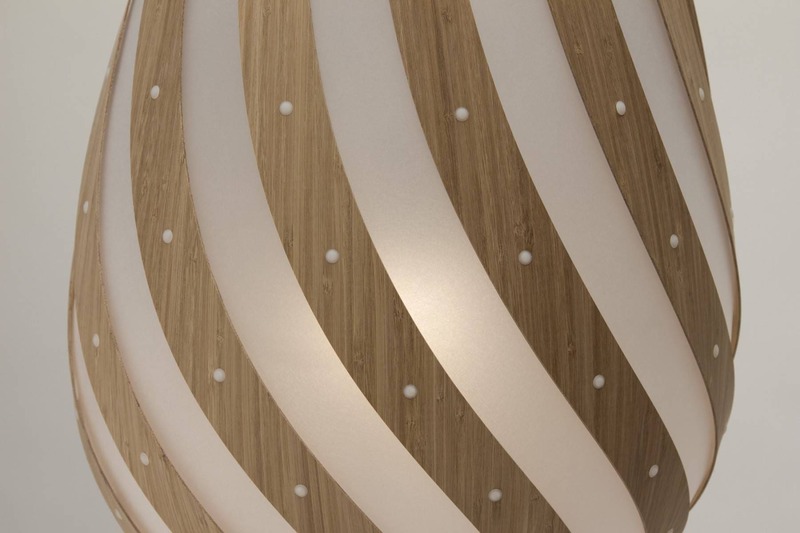 It creates a subtle lighting effect which emits almost no patterning on the surrounding walls. 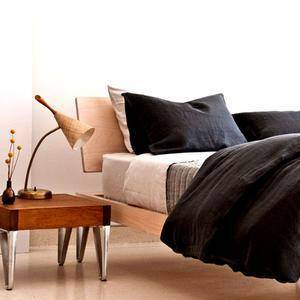 Drop is made from bamboo plywood that can be all natural, caramel or painted black. 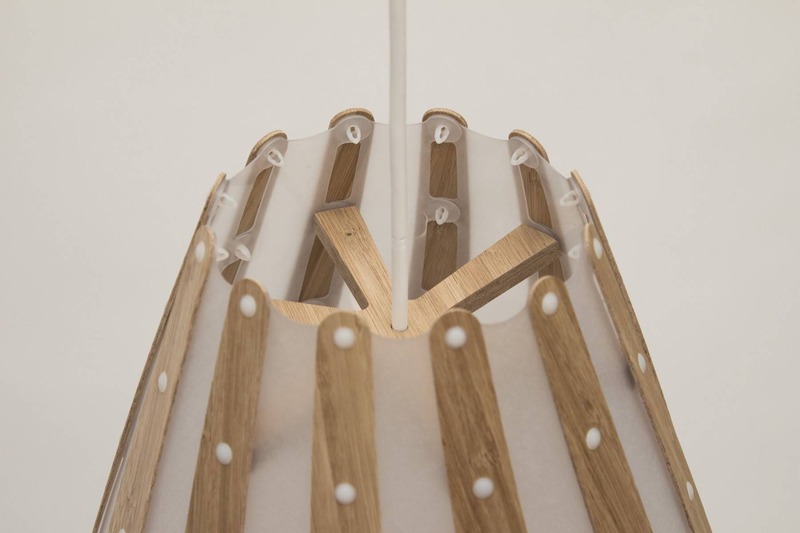 Drop can be paired with Rise, Bounce or Roll to create hanging formations. Assembly Required 60 mins. Assembly of shade is assisted by printed instructions included or online video. *Black comes with black cordset and fasteners. All others come with white cordset and clear fasteners. 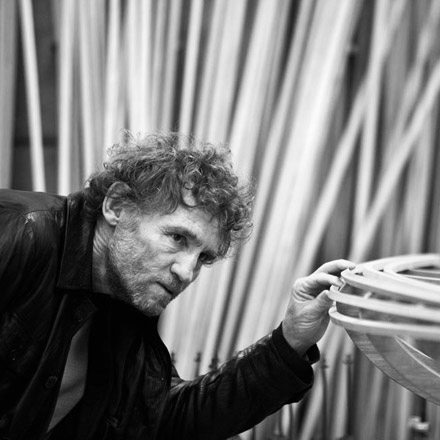 David Trubridge, a transplant from the north of England to New Zealand, has been making unique, eco-friendly lighting since 2003. They believe in the spirit of randomness, the essence of craft and good design for all. Because David Trubridge is based in New Zealand, the remote location has necessitated creative solutions to distance and freight issues and they have developed “kitset” products to address these problems. Many of the lights come ready to assemble. 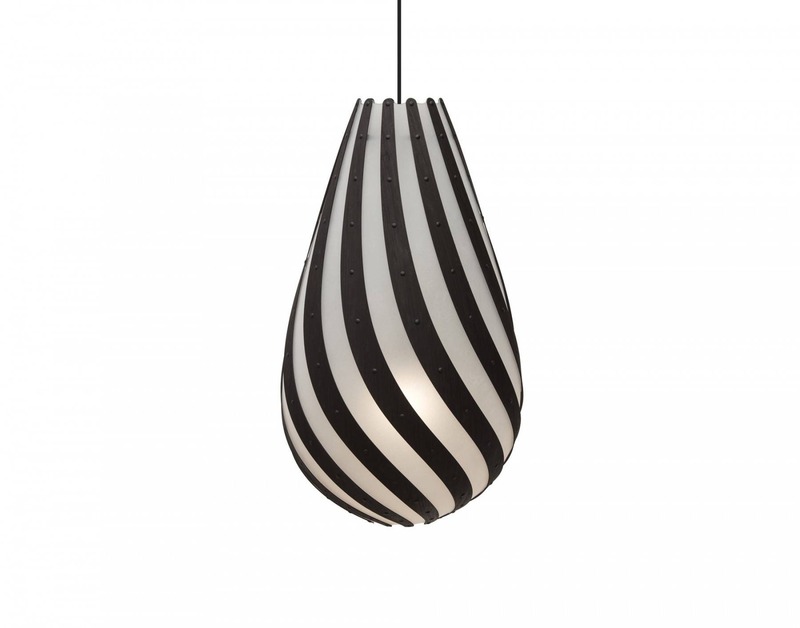 Caring about transparency and aspiring to a business that is ethical and environmentally aware, David Trubridge lights are green and eco-conscious. They use sustainably sourced bamboo and avoid chemical finishes. The coloured lights use a water-based paint made in New Zealand. David Trubridge graduated from Newcastle University in Northern England in 1972 with a degree in naval architecture. He taught himself furniture making and went on to develop his own designs which were exhibited around Britain. David became very passionate about the environment and in 1981 he and his family moved onboard their 45-foot sailing cutter, “Hornpipe” and set sail for Tahiti and the Caribbean. For the next five years he designed and built houses for clients on the islands, using whatever materials and tools he could find. The family settled in New Zealand and David started to make furniture influenced by their Pacific travels. A series of chairs were made like outrigger canoes: light flexible structures fastened with string lashings held graceful canoe forms as seats. 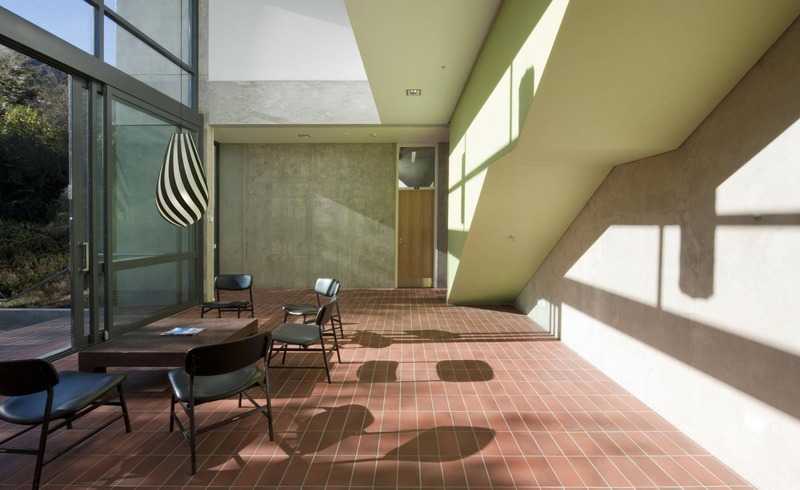 His Canoe Chair is in the entrance foyer of the New Zealand embassy in Tokyo. 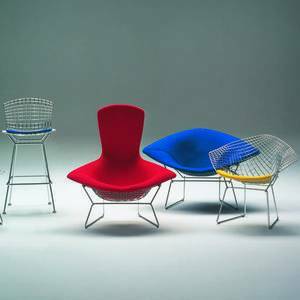 At the 2001 Milan Furniture Fair, Cappellini picked up his Body Raft Lounger for manufacture. This was the start of a change in David’s business model. His role has developed from that of a local designer/maker to an internationally known designer running his own design and manufacturing business with sales all over the world. In 2004, Trubridge was selected for the Antarctica New Zealand program, which takes two artists to the ice each year. The experience, combined with his relationship with marine life, furthered Trubridge's dedication to live in ways that support a delicate footprint. A firm believer in reuse, his studio was created out of an abandoned joinery shop in a closed meatpacking district. In 2007, Trubridge was honored with the Green Leaf Award for artistic excellence, presented by the Natural World Museum and the United Nations Environment Program. 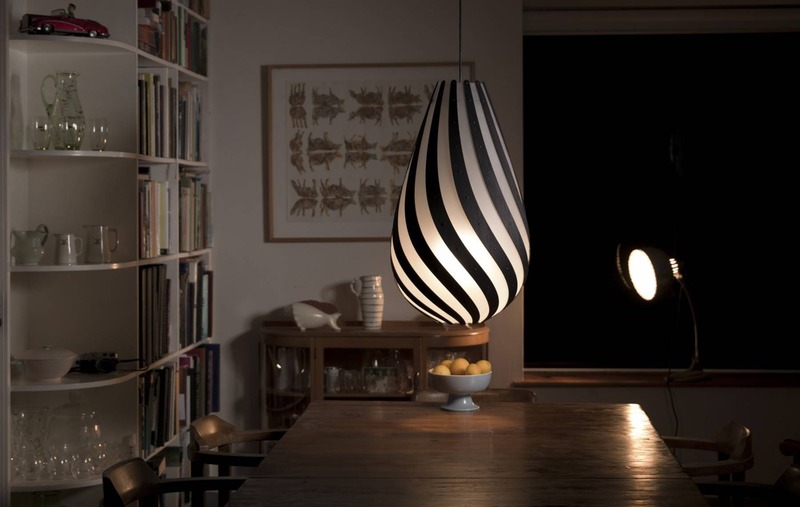 In 2003 David began to design and manufacture lighting. The Coral Light is now recognized around the world and has created a blueprint for how they approach design. Their New Zealand location has necessitated inventive solutions of distance and freight and they began to develop kit sets of the products to address these issues. David Trubridge, has an acute concern about transparency and environmental awareness and their lighting is both green and eco-conscious. They use sustainably sourced bamboo and avoid chemical finishes. All the coloured lights use a water-based paint made in New Zealand, and all production occurs in their studio/workshop Hawke's Bay.